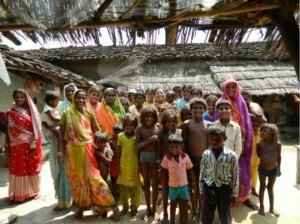 During one particular trip to India, Al, along with his team, had the opportunity to share the Gospel of Jesus with people living in three villages: Modipurva, Khareta, and Karcha. In addition, families received water filters. The police in one of the villages was getting ready to kick the team out until they showed they were handing out filters so people would have safe drinking water. This small act is a clear indication of just how good God really is. The population in India is not just massive but growing, pushing natural resources to the limit. Agricultural runoff and sewage have contaminated most of the water sources. 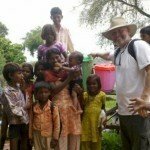 Statistics provided by the World Bank show that in India, 23% of all communicable diseases are due to unsafe water, Every day, diarrhea alone kills over 1,600 innocent people. That would equivalent to 200 people onboard eight large commercial jetliners dying in crashes every day. Sadly, the majority of these deaths involve children under the age of 5. More than a statistic, this situation is real life for millions of people. All because of unsafe drinking water, real people including small children are unnecessarily dying. Throughout India, accessible water for people in villages is contaminated and the leading cause of local diseases. In the first half of 2011, Water for Life Charity wanted to create as many partnerships with mission organizations as possible. Initially, the ministry only had the funds to hand out a few of the lifesaving water filters. Soon, word came back as to the number of filters that each of these organizations could give to families in the latter part of 2011. At that point, the focus switched to raising funds to make it happen. The current goal is to provide mission organizations who serve people in third-world countries with as many Sawyer water filters as possible. For 2012, Al met with top members of e3partners and the medical director to learn there was a need for as many as 1,000 filters. Our larger fundraising projects are still working to meet the needs of missionaries worldwide. 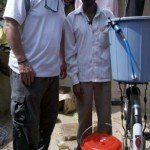 For everyone who has shown compassion in giving donations to ensure impoverished people receive water purification filters, mission organizations and the people of India are eternally grateful. Being able to bless families with safe drinking water is the ultimate payoff. Because of your involvement, lives in India are positively impacted.